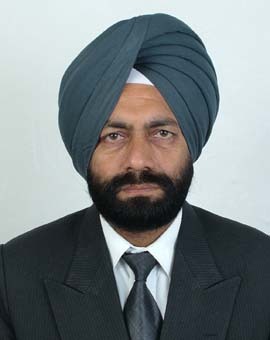 By Sanjay Pahwa, Chandigarh : Dr Manjit Singh today took over the charge as Director of Terminal Ballistics Research Laboratory (TBRL), a DRDO laboratory here in Sector 30 from Dr Satish Kumar who has been given higher responsibilities in DRDO Hqr, New Delhi. Alumni of Department of Physics, Panjab University, Chandigarh, Dr. Manjit Singh joined TBRL in December 1984 and since then he is working in the field of ‘Detonics of High Explosives and Shock Dynamics’ which remained his core competence and area of specialization. He played an instrumental role in development of explosive wave shapers and technologies for dynamic shock compression of materials under Mbar pressure region. With the blend of ultra fast diagnostics and modeling & simulation techniques he made his division a centre of excellence for performance evaluation and design optimization of various explosive systems needed for making the country self reliant in strategic technologies.He played a lead role in creating state of art experimental facilities consisting of Two Stage Light Gas Gun and Split Hopkinson Pressure Bar facilities which has made TBRL a unique laboratory for characterization of materials under different loading conditions. Dr. Manjit Singh has the expertise of establishing Quality Management System in R & D environment and as MR of TBRL he successfully designed, documented and implemented Quality Management System (QMS) in the establishment as per ISO 9001:2008 International Standard.